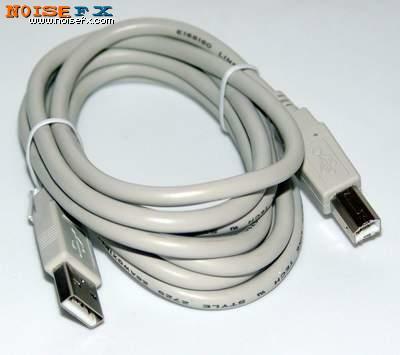 The Uninex USB 2.0 Patch Cable HPU06 is an economical USB cable perfect for hooking up USB samplers, mixers, etc. to your computer. Has a 6-foot (1.83 m) cable with a Standard-B plug on one side and a Standard-A plug on the other. It's USB 2.0 compliant for high-speed data transfer and shielded and grounded.